UHA (ULTRA HOT) I want to listen to this song so loud that I truly lament the fact that NIHL is a thing. Favorite track: Heart of Steel (Live at Tipitina's). The music and culture in New Orleans is so exquisitely intertwined, that one cannot separate them apart....especially the brass band sound which is directly tied to cultural elements that date back well over 100 years. 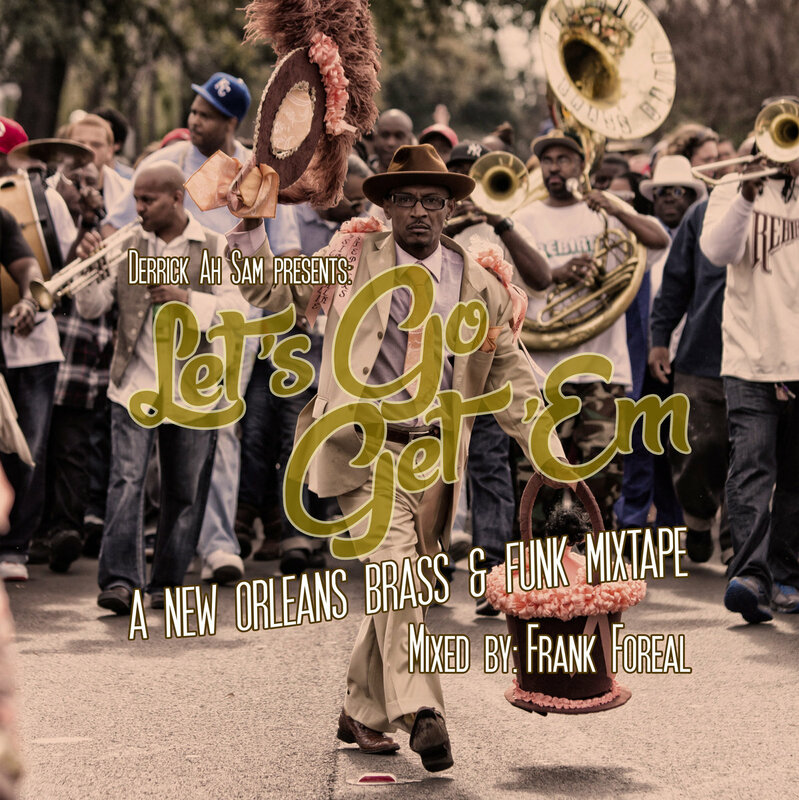 This is a sampling of some of the sounds of the city that has truly moved my spirit since my first visit to New Orleans for the 2005 Jazz Fest. Here, we've reinterpreted and presented this music in a way that is new and fresh (thanks to a very technically challenging mix by my good friend and DJ, Frank Foreal), yet still pays proper respect to the culture and the folks that create this music. Thus, I found the best way to express my affection is through music and this project, "Let's Go Get 'Em", is my personal love letter to the city of New Orleans. Since you'll be downloading this mixtape for FREE, we kindly ask that you make a small donation to The Roots of Music foundation in New Orleans. Text ROOTS to 88588 to donate any amount! Co-Founded by Derrick Tabb, snare drummer for the Rebirth Brass Band, The Roots of Music fills a void in music education programs in New Orleans schools. The Roots of Music empowers New Orleans youth aged 9-14 through music history and theory as well as instrumental instruction and ensemble performance preparation. They also provide educational & academic support, and mentorship while preserving and promoting the unique musical and cultural heritage of the city. Marching bands were once an integral part of New Orleans middle schools, but many schools discontinued their music programs for this age group after Katrina. Today, The Roots of Music serves over 100 students, making up a full marching band that has successfully paraded the city since Mardi Gras 2009. By donating to this organization, you can help empower the next generation of musicians who will continue to carry on the cultural legacy of the music we've presented here. Derrick Ah Sam was part of the emerging Honolulu Hip-Hop scene in the mid 90s & been involved in various aspects of LA's underground music scene for over 15 years.